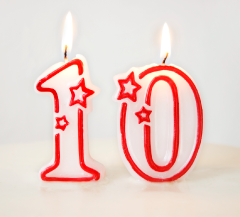 This month marks the 10 year anniversary of AMPS being deployed into production environments, helping to fuel the global financial markets. Those first customer deployments built on AMPS are still in production, and are still critical infrastructure today! Since then, AMPS has become a key part of critical trading flow at the top financial institutions. We’ve done this thanks to our close relationships with users. With their partnership and investments into our R&D, we’ve grown AMPS to the product it is today. We have some exciting things coming up to help take AMPS into the future. In the meantime, though, we wanted to take a minute to say THANK YOU to all of the people who have partnered with us to build their most important infrastructure on AMPS. We couldn’t have done this without you – and the next decade will be even better!